* All shipping quotes are for shipping in the Continental United States - Email us for foreign shipping info. We accept PayPal, Visa, Mastercard, and Postal Money Orders. 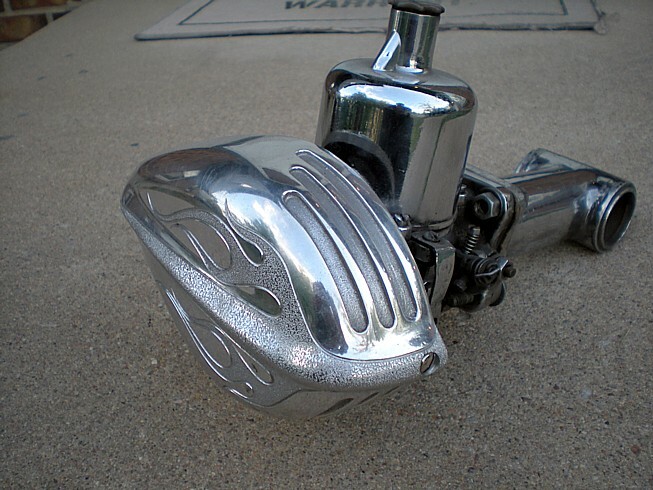 Polished older SU carburetor. Buy as a complete unit, or will separate. B. NOS white Italian-made aftermarket "coke bottle" grips, and mechanical brake pedal rubber set. Will not separate. 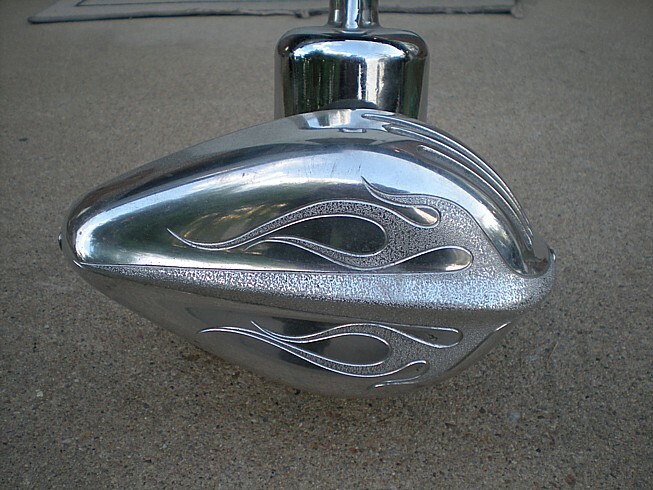 Sized for 1" bars, and the R/H grip is sized to slide on your throttle sleeves, or a 1 1/8" dia. 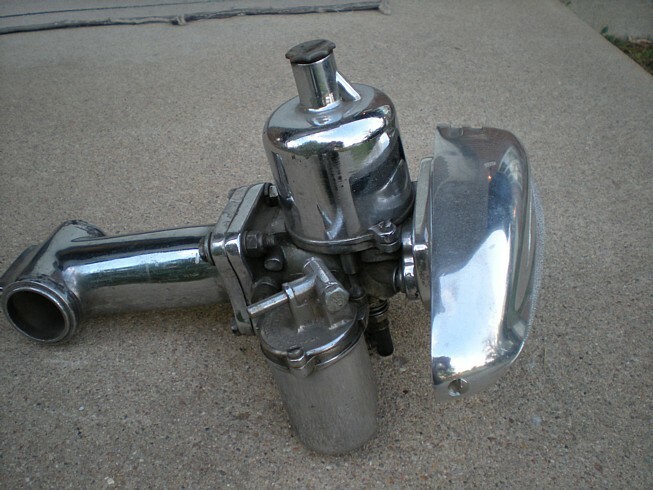 internal throttle (like Exiles). 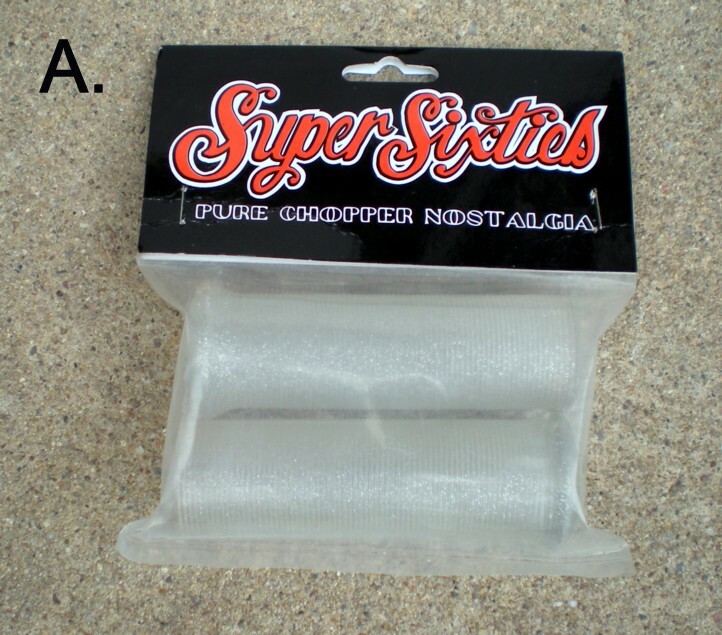 The grips have a tiny little grey "ticking" in a very few spots, but hey, you'd have it too if you were 60 years old, haha! $45.00/set. 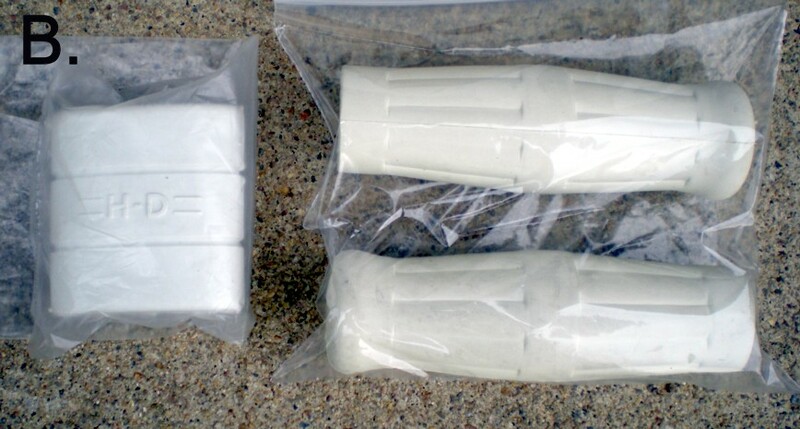 All grips shipped for $7.00 USPS Flat Rate. 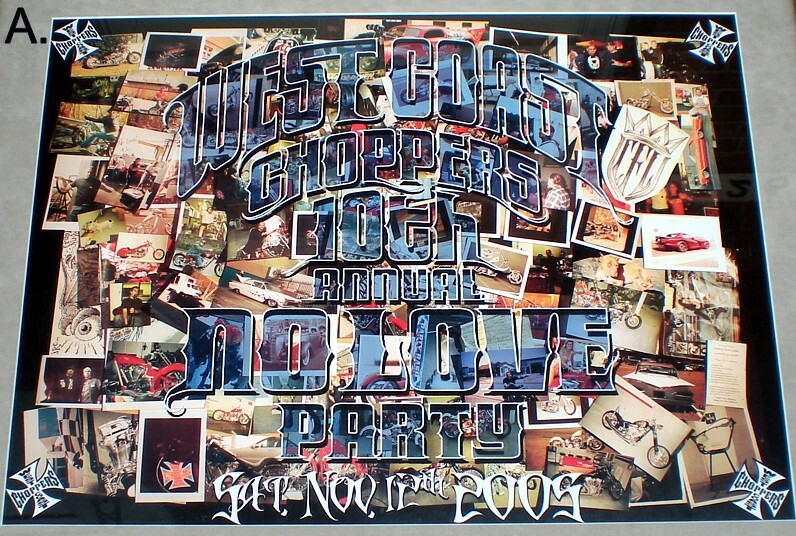 West Coast Choppers No Love Party posters. All posters are pristine, not faded, never displayed. *NLP 10 poster shown as example-your poster comes un-mounted and rolled. A. NLP 10th Anniversary collage poster. Only available at the event in the VIP area. Approx. 24"W x 18"H, med. wt. glossy poster paper. 3 available - $75.00 ea. +$10.00 S&H, rolled in heavy mailer tube.